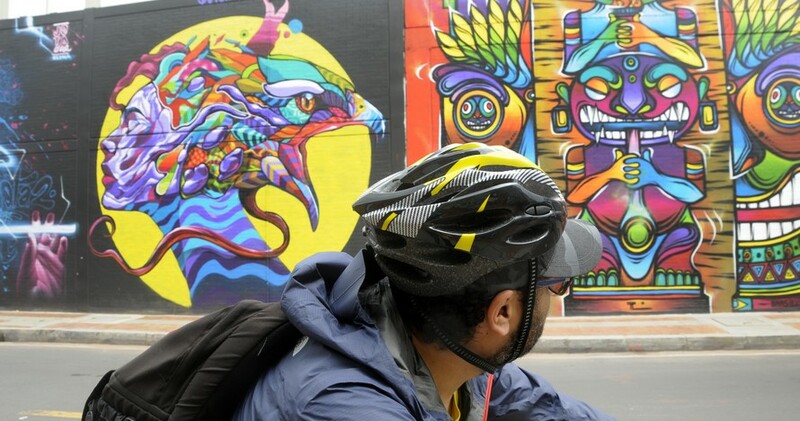 Enjoy a bike tour through Bogotá and get to know the main and most recognized graffiti of the Colombian capital. The tour starts at the meeting point, which is the Parche Cachaco Tours Agency, Cra 5 # 7 – 20, La Candelaria, Bogota. 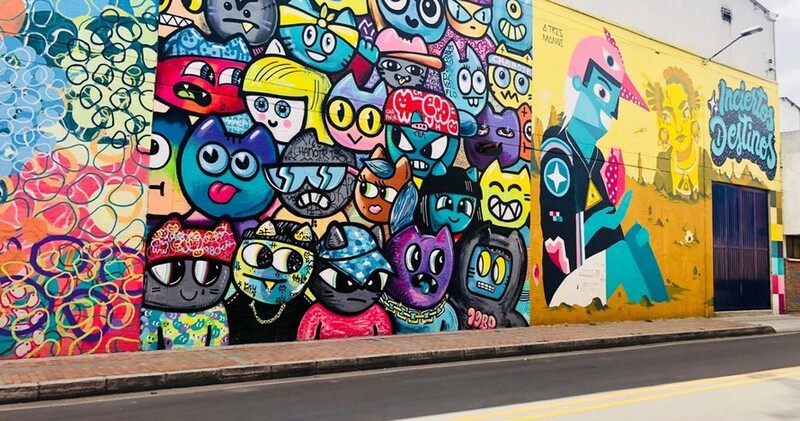 During the tour you will get to know the most representative graffiti of La Candelaria. Later on, we will head to Graffiti District, and once we get there you will enjoy some snacks. After that you will be ready for the tour where you will enjoy a place full of graffiti that has the participation of 21 artists: 2 national, 11 local and 8 international, from countries such as Brazil, Peru, Mexico, France and the United States; who shaped their works in large-format spaces (approximately 9 meters high by 6 meters wide). Finally we will return to the meeting point by bike. The level of cycle-tourism is beginners and the tour distance is approximately 12km. Souvenirs; Medical insurance; Tour guide; Water; Snacks; Bike and helmet. People with cardiovascular diseases or health conditions that do not allow them to ride a bicycle. Parche Cachaco Tours (The agency) will have the capacity to modify or include new conditions. The information provided by the client will be confidential and used only by the agency for administrative purposes. The communications sent by the agency about changes that imply modifications in the tours will be considered as delivered at the moment they are sent to the client via Parche Cachaco Tours can communicate with its customers through the email reservas@parchecachacotours.com or parchecachacotours@gmail.com, and the customer can communicate through the telephone numbers 312 3545140 and 3344263. Parche Cachaco Tours has the faculty to withdraw from the tour the person who disciplinary or morally attacks against the proper development of it. When booking any tour, the client understands and accepts the policies of Parche Cachaco Tours and waives any complaint against the agency. This cancellation is recommended and appropriate since it does not imply penalties. When booking the tour in the agency Cachaco Tours Patch by telephone, by email or chat, the client must pay in advance at least 20% of its total value. The outstanding balance will be canceled on the day of the tour before starting it. If after booking the tour the client wishes to cancel it, the value of 20% will be returned if the cancellation date is greater than 2 days prior to the tour. When booking the tour through the website www.parchecachacotours.com, the client must pay 100% of its total value. If after paying the tour the client wishes to cancel it, we will refund 20% of the total value if the cancellation date is greater than 2 days before the day of the tour. If the tour is canceled on the same day or one day before the tour (taking into account the scheduled time for the tour) the penalty will be 100% of the value. 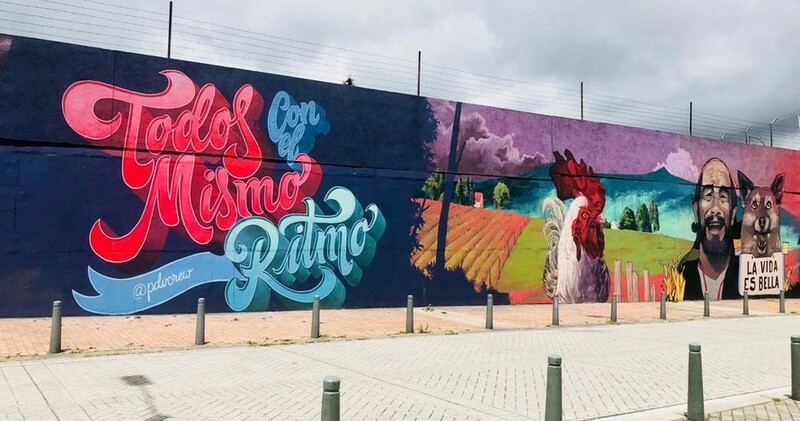 When booking the tour through a concierge, reception or hotel management in Bogota, the client has a maximum of 12 hours prior to the tour (taking into account the scheduled time for the tour) to cancel the reservation. If this is not done within the stipulated time window, a penalty of 50% of the value of the tour will be charged, which will be paid at the hotel. The modifications made by Parche Cachaco Tours will be subject to the disposition of the suppliers, in case of situations such as strikes, earthquakes, accidents or cases due to force majeure that could affect the safety and good development of the tour. If for some reason Parche Cachaco Tours could not carry out the tour, the agency has the obligation to reschedule the date of it. If it were not possible, the value paid by the client will be refunded. The only tour that is not conditioned with these cancellation policies is the FREE TOUR. To cancel a reservation, the customer can call the telephone numbers 312 3545140 and 3344263 or send an email with the cancellation request to reservas@parchecachacotours.com or parchecachacotours@gmail.com. The request will be processed and in accordance with this cancellation policy, the money paid will be refunded or the corresponding amount will be charged. Once the reservation is made or the tour is paid, the client accepts the conditions stipulated here.